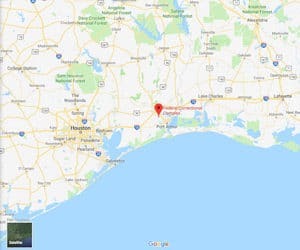 Location: USP Beaumont is located on the Texas Gulf coast, about 90 minutes from Houston. Background: USP Beaumont was opened in 1997. USP Beaumont is informally known as “Bloody Beaumont.” There have been at least two inmate murders at the prison. Notable incidents include inmates Mark Snarr and Edward Garcia for stabbing two corrections officers with home-made prison knives. Following this incident, Snarr and Garcia entered fellow inmate Gabriel Rhone’s cell, where they repeatedly stabbed him 50 times. Inmates James Sweeney and Harry Lee Napper (both convicted of the murder) strangled fellow inmate Ronald Joseph to death in his cell. Housing: Inmates are housed in one-person and two-person cells. There are a total of six housing units. Inmates at the camp are housed in dormitory settings. Health Services: Sick call, eyeglasses, emergency medical treatment, physical examinations, medications, immunizations, and dental care are provided at USP Beaumont and the satellite camp. Over-the-counter medications are available at the commissary. Inmates can access health care services for a fee of $2.00 per visit, charged to an inmate’s commissary account. Emergency medical care is available 24 hours a day at no fee. Psychology Services: Inmates are provided with intake screening upon arrival at USP Beaumont. The psychology staff offer treatment programs addressing a full range of clinical disorders, providing self-help options, assessing and treating behavioral and emotional problems, and facilitating overall adjustment. Crisis counseling, coping skills, suicide prevention, mental health counseling, and spiritual counseling are available. The Challenge Program is available for inmates who are prone to substance abuse, mental illness, and violence. Inmates can sign up for such programs by submitting a cop-out or attending Psychology Services open house. Residential Drug Abuse Program (RDAP): USP Beaumont houses a Residential Drug Abuse Program (RDAP). It also provides a drug abuse program, a Drug Abuse Education Course, and the Non-Residential Drug Abuse Program (NR-DAP). Education Services: USP Beaumont provides a literacy, GED, and English-as-a-Second Language (ESL) programs. Adult Continuing Education (ACE) and parenting classes are also available. High school diplomas and post-secondary programs are available through paid correspondence programs. Advanced Occupational Education: USP Beaumont offers advanced occupational education in Advanced Microcomputer Office and Administrative Applications, Culinary Arts, Microcomputer Applications, Small Business Management, and Welding. The camp offers Basic Diesel Repair, Commercial Driver License, and Culinary Arts. Vocational Training: USP Beaumont does not offer vocational training aside from its advanced occupational education and apprenticeship programs. Apprenticeship: USP Beaumont offers apprenticeships in Carpentry and Electrician. Both the main prison and the camp offer apprenticeships in Electrician, HVAC, Painting, Plumbing, and Teacher Aide. Library Services: A law library is located in the Education department, containing a variety of legal reference materials for use in preparing legal papers. The TRULINCS Electronic Law Library is available for inmate usage. Typewriters and a copier are also available in the library. The leisure library offers fiction and nonfiction books, magazines, and newspapers for the inmate population. UNICOR: The UNICOR at USP Beaumont produces clothing and textiles. Commissary: Inmates are given an activated account upon arrival, showing all deposits and withdrawals. Inmates are permitted to spend up to $90.00 biweekly for commissary purchases and Special Purchase Orders (SPOs). Balances can be checked via the automated inquiry machine (AIM), through the Inmate Telephone System, or through the TRULINCS computers. Fingerprint identification is used for Commissary sales. Remaining money at the end of the period cannot be carried over into the next period. Recreation Services: The USP Beaumont Recreation Department consists of both indoor and outdoor components. Activities range from individualized arts and crafts programs to intramural team sports such as softball, basketball, and volleyball.